On behalf of Admin of JML Law, A Professional Law Corporation posted in Discrimination on Friday, Sep 07 2018. Recreational marijuana use was legalized in California back in 2016, leaving many wondering how it would affect hiring and employment. Many assumed that protections for marijuana users would start to expand through litigation or legislation, and that’s finally coming to pass. It started when San Francisco prohibited employers from discriminating against employees or applicants for marijuana offenses related to conduct that is now legal in California, like certain offenses for cultivation or non-commercial use of marijuana. Bill AB 2096, passed earlier this year, goes a step further and protects current medical marijuana users from employment discrimination. California residents who are fired or harassed for medical marijuana use can now hire a discrimination attorney in Los Angeles and sue for damages. As of May of this year, 11 states provided varying levels of employment protection for persons who used medical marijuana. These states include Arkansas, Delaware, Arizona, Connecticut, Maine, Nevada, Illinois, Minnesota, Pennsylvania, New York, and Rhode Island. California, the first to legalize medical marijuana, became the 12th by amending the Fair Employment and Housing Act. Certain limitations still apply. 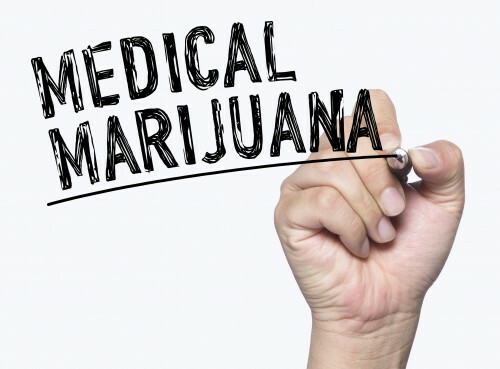 For example, if an employee is impaired during work hours due to the use of medical marijuana, they can still be disciplined or terminated by their employer. However, this can be difficult for an employer to prove because current tests cannot determine how long ago cannabis was consumed and whether a person is currently under its influence. If you’ve been accused of using on the job, contact a discrimination attorney in Los Angeles. Also, because marijuana, medical or otherwise, is still illegal under federal law, employers have the right to terminate or refuse to hire a medical cannabis user if continuing to employ or hiring that person would cause them to lose licensing-related or monetary benefits under federal law and regulations. With the passing of AB 2096, employers are required to alter procedures and policies for the first time to conform to law changes in California regarding the use of cannabis. If you are a medical marijuana patient who was fired or is being harassed at work for cannabis use despite being sober on the job, you may be entitled to compensation. Call a discrimination attorney in Los Angeles at JML Law at 818-610-8800 to discuss your legal options and move forward with your life. We offer a free consultation with 40 years of experience handling wrongful termination and discrimination cases.